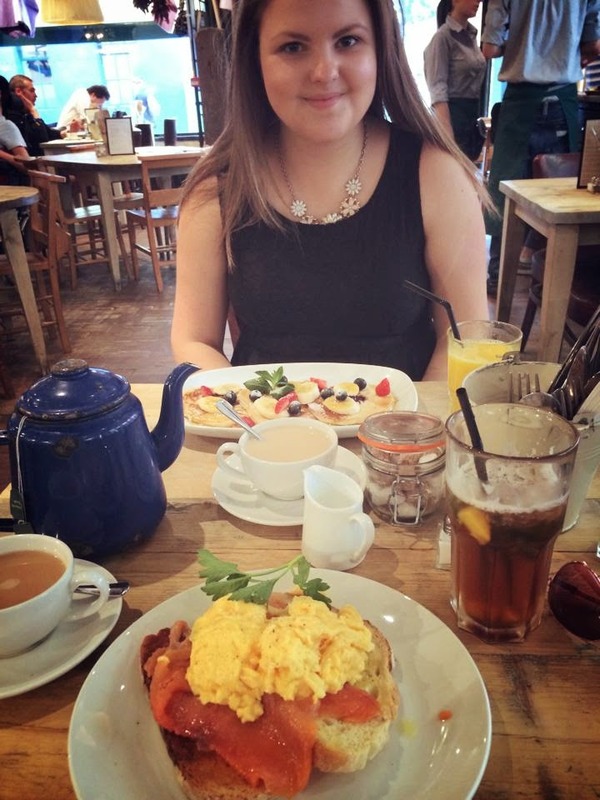 The Sunday Post: Breakfast at Bills and Cancelled Driving Test. Good morning, I have decided to add a little something extra to my blog, every Sunday I will do a Sunday post and tell you guys what I’m getting up to that weekend/week or if something exciting has happened throughout the last week. Alex and myself went to London for the day last Saturday, we got an early train down so we obviously headed straight for Bills in Soho for some breakfast. I chose to have the homemade blueberry buttermilk pancakes with strawberries, banana and syrup. They were so delicious and I’ve been craving them everyday since I got home. I also ordered a pot of English breakfast tea and fresh orange juice. This past week has been a weird one, I was supposed to have my driving test on Monday but it got cancelled due to my driving instructor having an accident on the way to pick me up. What are the chances aye? It’s been re-scheduled but I’m keeping the new date hush hush for now. I have also made and sent off all of my 18thbirthday party invitations, hands up for a D.I.Y tutorial? I am now going to go and get ready to go out for a meal tonight with my family, some of which we hardly see so it will be nice to catch up with everybody. Do you like this sort of post? Let me know below.